• Gabriella Lovas and Jeff Black report about German banker Frank Breitenbach who thinks that sound banking and sovereign money go perfectly well together > Banker who'd revolutionize money says it can be done from within, Bloomberg Markets, 18 Aug 2016. The same at the > The Washington Post Business; similarly > Vollgeld will revolutionize the money, at FinBuzz, 9 Sep 2016. 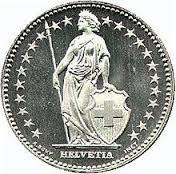 (Never mind that Vollgeld is translated as sovereign money, not 'whole money' (it's no food after all) and that many authors still confuse sovereign money with a 100% reserve). • Emma Dawnay, campaigning for the Swiss referendum on making the transition from bankmoney to sovereign money, explains in an > interview with the Cobden Centre why the present money system is in need of overhaul and what sovereign money reform in Switzerland is about. • Mark Pash, Center for Progressive Economics, Ca., raises the question as to why governments are held responsible for the economy without being able to do much about it, in particular, not being supported by a monetary agency that would implement monetary and financial policies at the service of the real economy > It's the economy, stupid! - 24 Sep 2014. • Martin Wolf, Chief Economics Commentator of the Financial Times, explains straight out why he supports monetary reform that wants to Strip private banks of their power to create money, Financial Times, 24 April 2014. • Mark Joób on > The Sovereign-Money Initiative in Switzerland, World Economics Association Newsletter, Vol.4, No.3, June 2014. > Sovereign Money will Strengthen Democracy and Private Property, Positive Money Blog, 18 June 2014. • Michael Schemmann, Prof of Accounting and Finance and Director of the International Institute of Certified Public Accountants, recommends in an > open letter to the euro treasurers: let the banks operate on a basis of legal tender central-bank money only. • Stephen Zarlenga, Director of the American Monetary Institute, comments in the Huffington Post of 12 Oct 2013 on the 95th raising of the US debt ceiling in 67 years, confronting this with the opportunities of the monetary reform bill H.R.2990 (NEED act) introduced into the 112th Congress by Dennis Kucinich > Sequesters, Shutdowns and Defaults. • Thomas Mayer, Senior Fellow at the Center for Financial Studies, Frankfurt, and former chief economist of Deutsche Bank, comes out with an unexpected turn: Banish fractional reserve banking for real reform, Thomas Attwood Blog, 24 June 2013. • Plain Money instead of Credit Money, posted on Positive Money News, 14 Jan 2013. • Josh Ryan-Collins on A return to Sovereign Money?, Open Democracy, 17 Dec 2012. "That is what our money system is: If there were no debts in our money system, there wouldn't be any money." - Marriner S. Eccles, Former Chairman of the Federal Reserve. James Robertson: "Why should we continue to allow commercial banks to enjoy the privilege of creating the national money supply, instead of transferring responsibility for creating it in the national interest to a public agency?" amie Walton, American Monetary Institute, explaining details of monetary reform.